Menara Hap Seng 2 Kuala Lumpur, rising above 30-storey high is the latest “Grade A” corporate office and retail building by Hap Seng Group, the building are design with standard and recommended features which emphasize on building efficiency in compliance with Green Building Index (GBI). Adding to this, Menara Hap Seng 2 will also be adjoining to the existing Menara Hap Seng (the winner of FIABCI Best Office Development Category) in the retail podium via connecting bridge. This will further provide a wide spread selections to the retail podium and better mixed of F&B variety offerings to the tenants. The building is located strategically in Jalan P. Ramlee, one of the busiest hubs in the central business district area and can be access through Jalan Raja Chulan and Jalan Sultan Ismail. Alternatively, public transport are conveniently available just a few step away and is just 5-10 minute walk to the nearest Monorail and LRT stations. Menara Hap Seng 2 is scheduled for completion in Q2/Q3 2014. 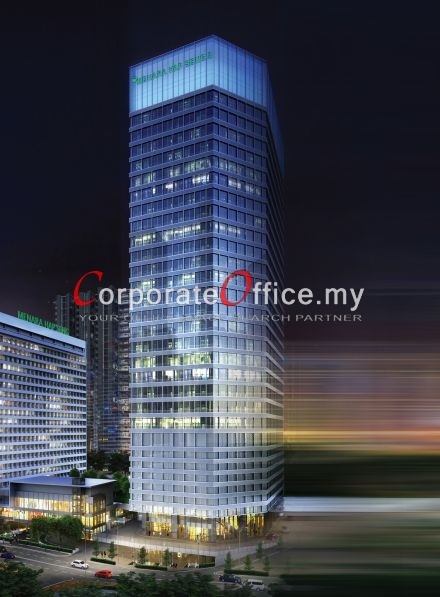 Contact us now to get the best deal during the pre-lease period @ +6014-6262 623 or email us at info@corporateoffice.my! Jalan P. Ramlee, KL Golden Triangle, Kuala Lumpur, Wilayah Persekutuan, 50250, Malaysia. 179 Jalan Bukit Bintang, KL Golden Triangle, Kuala Lumpur, Wilayah Persekutuan, 55100, Malaysia. No. 22 Jalan Imbi, KL Golden Triangle, Kuala Lumpur, Wilayah Persekutuan, 55100, Malaysia. 1 Jalan Pinang, Kuala Lumpur, Wilayah Persekutuan, 50450, Malaysia.